Do You Use Events / Workshops To Promote Your Business? Hundreds of thousands of event organisers use Eventbrite every day. Although many will be happy with the basics of what it does, 90% of event organisers will be unaware of its full potential! Whilst Eventbrite is a free tool, your time is neither free nor limitless! We’ve spent many an hour working everything out so you don’t have to, placing your event management into the top 10%. So why not give us all the headaches and you can have all the business success! 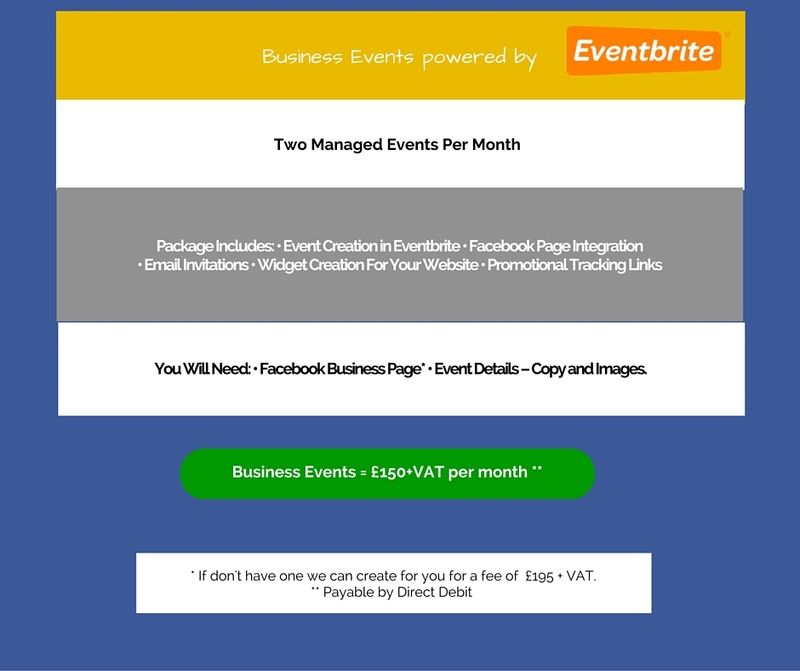 Facebook Page integration – Create Event in Eventbrite then one click publication to Facebook Page. Promote your event with mobile optimised ready to go Email invitations using Eventbrite. Mailchimp user? No problem, Eventbrite and Mailchimp integrate great -job done. What’s working best amongst all your promotional effort? Creation of Tracking Links within Eventbrite will give you the answers. You then know what’s working so can scale up and repeat with confidence. Promoters for your event? Create unique Affiliate links for them to attach to their emails, see which promoters working for you and use for any commission management. Ready to go Website Widgets – just copy and paste the code.